Netherlands Film Festival. This year’s theme: ‘congratulations’. 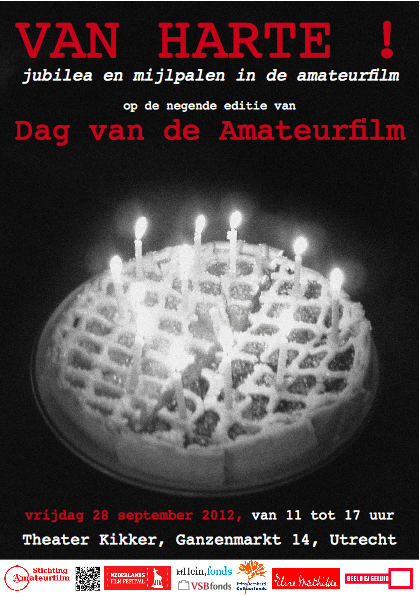 The theme of ‘Congratulations’ allows the Amateur Film Day to celebrate several anniversaries and milestones in the field of amateur film, among which the centenary of the first successful format for the home movie market, 28 mm film. For more information about the different presentations, visit the website of Stichting Amateurfilm.